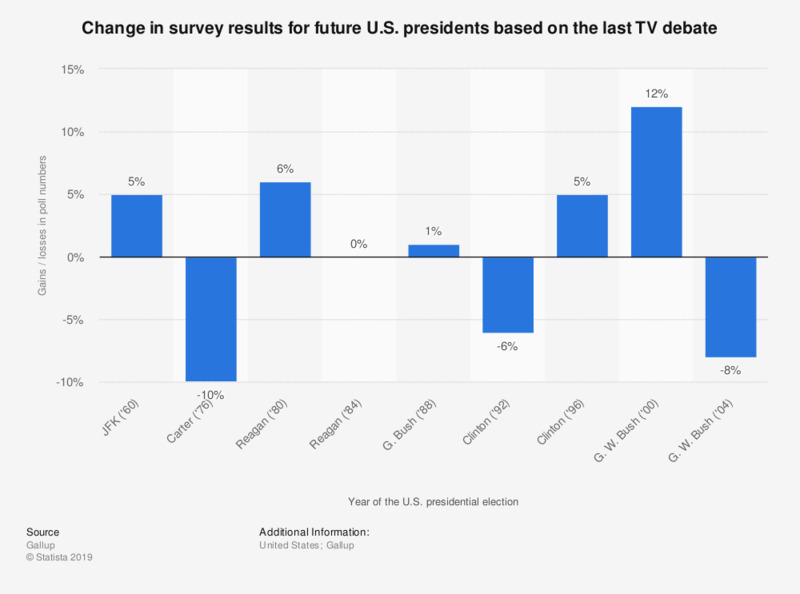 The statistic shows the influence of televised debates at the polls in U.S. elections. Reading help: John F. Kennedy improved against his opponent by 5 percentage points compared to the previous election poll conducted shortly before the televised debate. Ronald Reagan had a similar improvement in poll numbers in 1984 following a televised debate. In the elections from 1964 to 1972, no debates between candidates were televised.